If clutter has taken over your Louisville-area office, don’t waste another minute trying to organize it yourself. 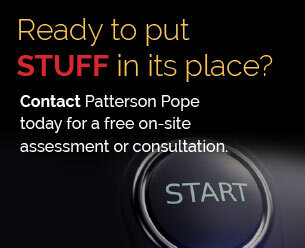 Patterson Pope — the leader for high density storage and retrieval systems — is just a phone call away. These vertical lifts and carousels are perfect for storing and retrieving small items like computer chips. They are also great for bulk and palletized items. 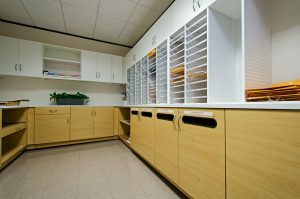 We have an enormous collection of cabinets for our customers to choose from. 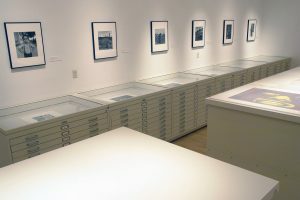 We offer Stainless Steel Cabinets, Laminate Cabinets, Media Storage Cabinets, Lateral File Cabinets, Flat Files and a whole lot more. While we have a large selection of stationary high density storage systems in Louisville, we also have many different cart options. These carts are ideal for offices with a high volume of mail. 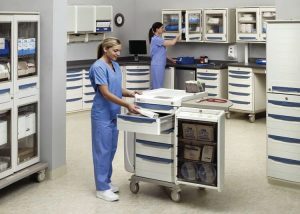 They are also perfect for hospitals so that medicines and supplies can be easily transported from room to room. 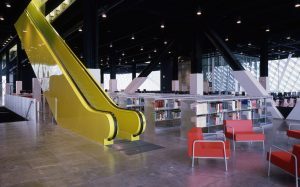 Libraries, museums and industrial warehouses are the perfect settings for our High-Density Shelving options. These are designed to organize, compact and make retrieval convenient for any type of item, large or small. 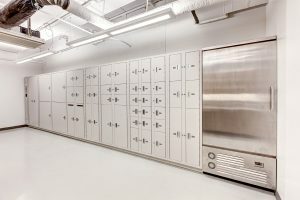 Athletic facilities, government buildings, law enforcement precincts and laboratories all over Louisville are ordering lockers from Patterson Pope to ensure the secure storage for valuable items. Customers love being able to choose from our laminate, stainless steel or powder-coated steel casework. When you choose to purchase Modular Casework from Patterson Pope, not only are you able to explore all of our different product options, but you also have the ability to customize a product so that you are buying something that is exactly what you wanted. After forty years of working in the storage industry, we have configured multiple types of static shelves so that every customer feels that we have something that is right for them. We offer Bin Shelving, Case Style Shelving and even Fire Hose Racks – just to name a few. 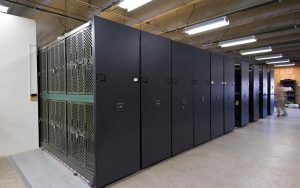 Public safety buildings, government offices and military bases require secure high density storage units for weapons. We have many different, racks, cabinets, lockers and boxes that are specifically designed for this purpose. As you can see, we work with a variety of industries in Louisville. 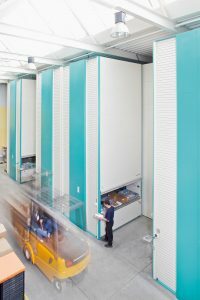 High density storage needs exist in all lines of work including: education, industrial, commercial, healthcare, athletics, military and government. Our teams of professionals at Patterson Pope are happy to help them all. Our professional team at Patterson Pope proudly provides mobile shelving and high density storage solutions to the greater Louisville area, including Lexington, Charlestown, Salem, Seymor, Elizabethtown, Shelbyville, Evansville, and other surrounding areas.